If I’ve said it once, I’ve said it a million times. But using oils on oily skin has been one of my biggest beauty discoveries in years. The difference this has made to my skins overall appearance, condition, acne and more is astounding. So yay oils. 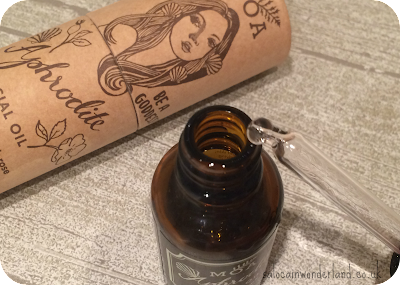 And yay for finding a very English, organic, facial oil with the prettiest packaging you might see today. 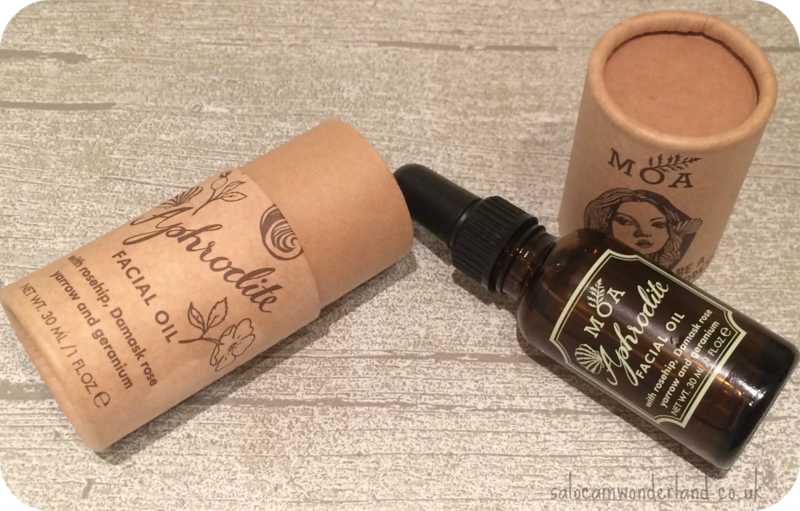 Yay, for MOA - Magic Organic Apothecary. I discovered MOA way back at NW Meet 2.0, there was a snazzy little gift set on offer for the raffle, which I failed to win, but a full sized bottle of the Aphrodite Facial oil in my goodie bag. The packaging instantly strikes you as being crafted to be something beautiful, not something you tear up to get to the goodies inside. Who doesn’t want to be a goddess? With glowing, healthy skin, and mermaid hair to boot? What can I say, I like a good package. What’s inside is pretty darn special too. The pretty little brown glass bottle, looks very victorian which I love. But the oil inside is not to be missed. Rosehip; bursting with skin loving vitamins A and C, essential fatty acids and natural regenerative properties. Damask; for dry, sensitive, red and blemished skin. Organic Yarrow; for even skin tone, and marshmallow extract; for soothing and calming both inside and out. The oil itself feels quite thick and greasy but a little goes a really long way. After cleansing, I apply it to slightly damp skin, patting it around the face, neck and décolletage area. My skin looks super shiny for about 15-20 minutes, as the oil is absorbed into the skin. A very soft, slightly greasy residue is left behind but as I’m only using it before bed, this doesn’t bother me. It smells wonderful and I’ve got into such a routine with this little beauty that I am instantly ready for bed whenever I smell it’s heady rose scent. In the morning, my skin looks bright and vibrant but not excessively oily. It feels smooth to the touch and any blemishes that might have been cropping up look reduced and faded. 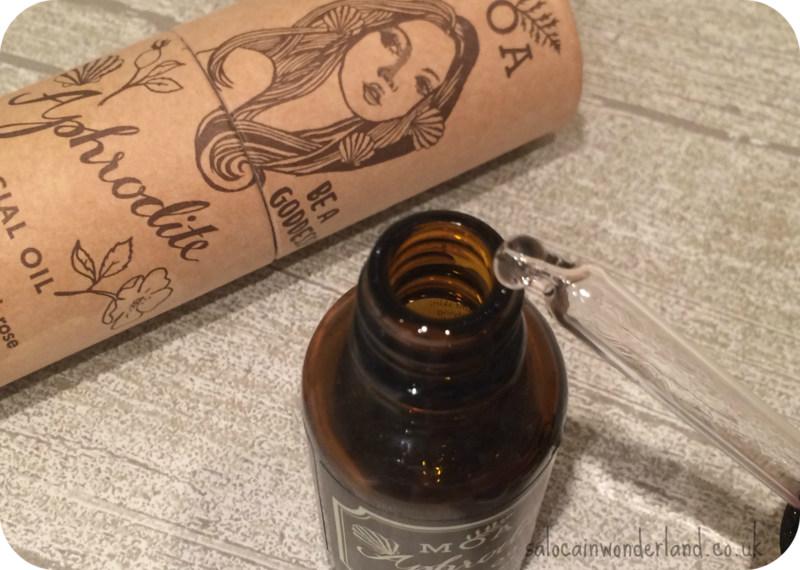 I’ve slowly been switching my beauty products over to more organic, homegrown versions and the MOA facial oil has shot to the top of my must-have list. One 30ml bottle is lasting me months, but I can see it being an instant repurchase when it eventually runs out! If you have dry, or blemish prone skin, using this twice a day would be ideal. As my skin is in a pretty happy place right now, once a day works wonders - and if I stop using it for a couple of days I really do see a difference, especially in redness and irritation! 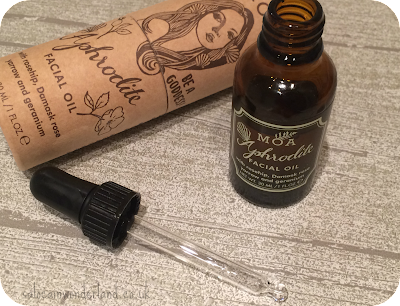 I’ve got my eye on their Green Balm next, I can only see it working in perfect harmony with the Aphrodite Facial Oil. 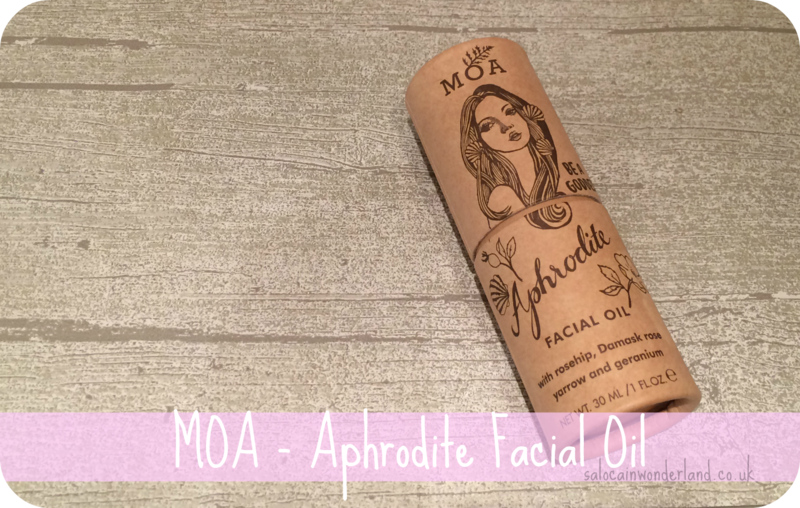 How do you feel about facial oils?